I borrowedd my dads Nikkor ED AF-I 300mm 2.8D lens. It is fantastic. I thought I would take a pic of it to show it off before I have to give it back. 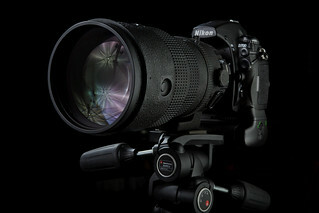 It is mounted on my Nikon D700 with battery grip, sitting on a manfrotto tripod.